Love The Clash Royale? 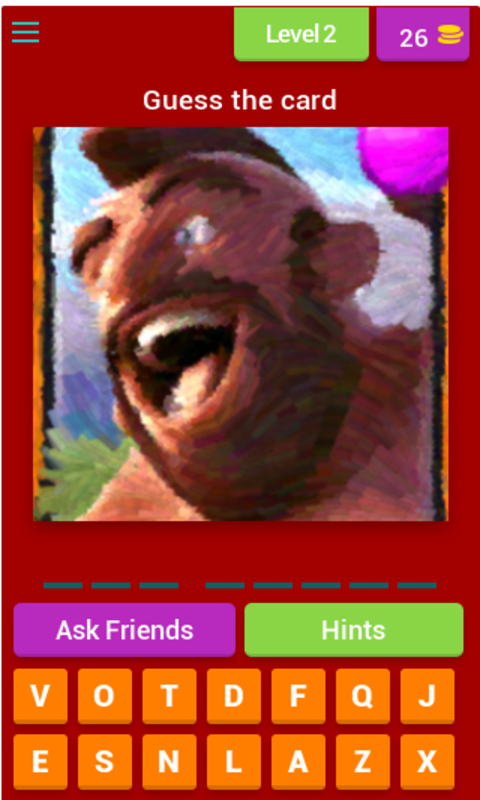 Know all the names of the cards? Now will check it! 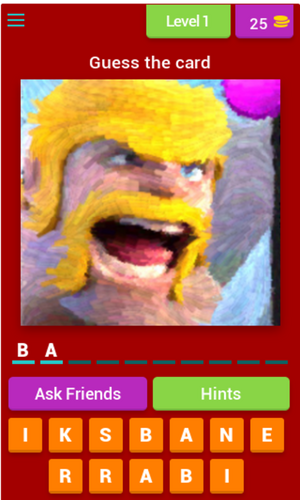 This is a quiz game for the real connoisseurs of Clash Royale. 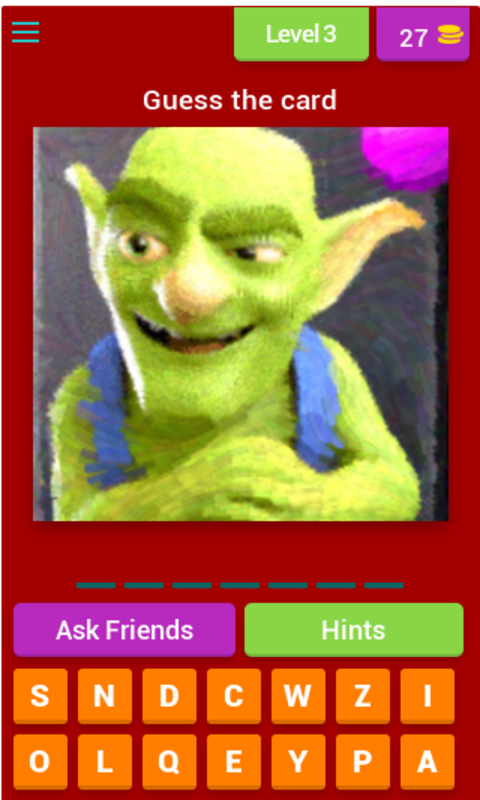 Guess the card, write name and win! 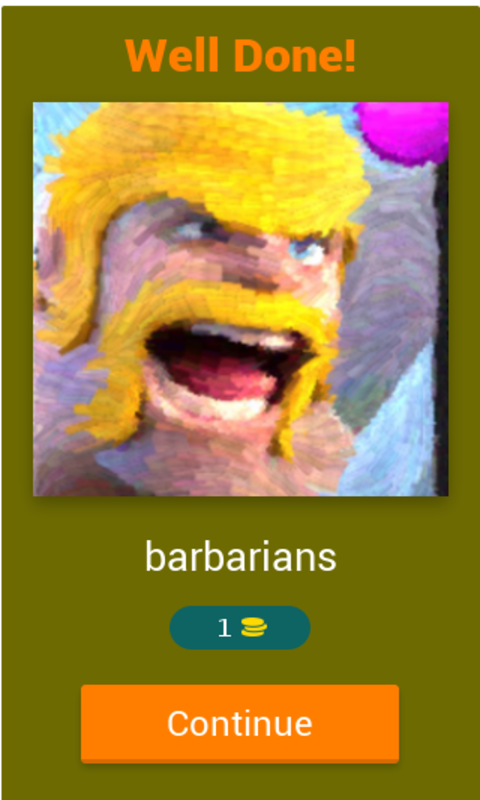 Forward to new victories! Card Guess CR is a game where you have to guess the outcome of a case characters Royale Clash show that ranked at the top with your knowledge of this great game of Mobile. 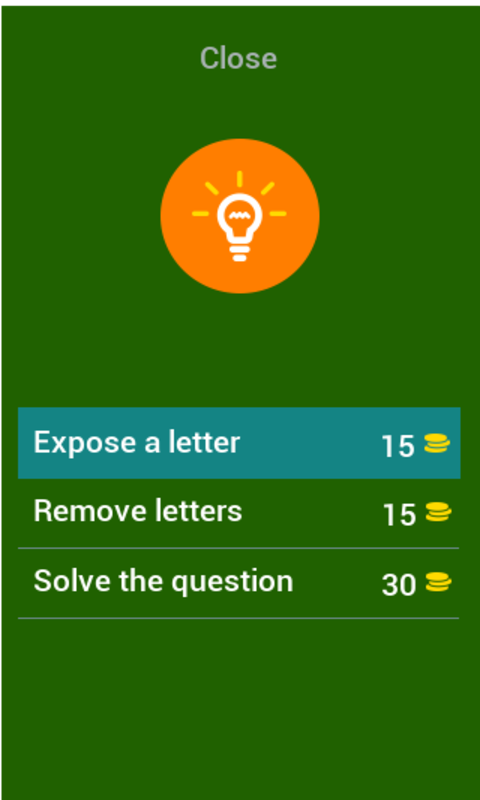 You can ask for help from a friend if you do not know the answer, the operation is very basic and simple, you can make your job easier by spending coins delete letters or immediately solve photos. And many more that you can not miss!